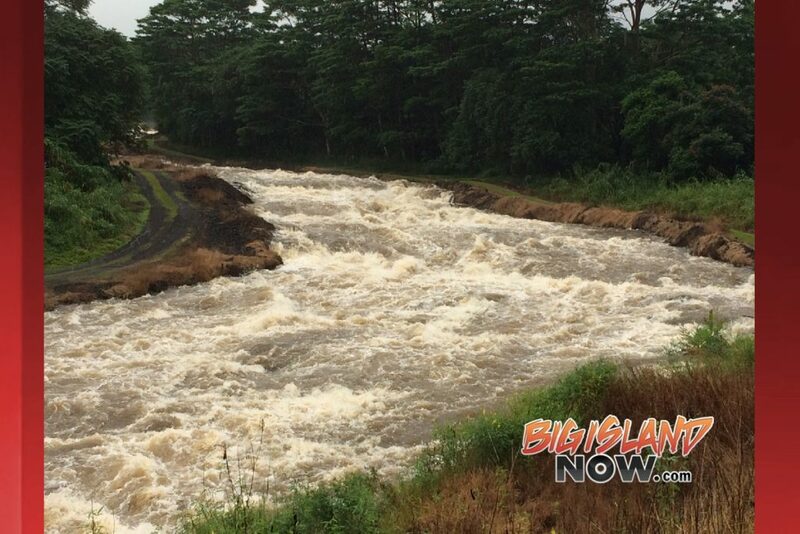 Chong Street in Hilo, Nov. 30, 2017, 3 p.m.
A 62-year-old woman and 61-year-old man were recently swept down the Wailuku River near Rainbow Falls State Park. UPDATE: Nov. 30, 2017, 3:30 p.m.
A Flash Flood Watch in effect for the Big Island and Maui has been extended through Friday afternoon. 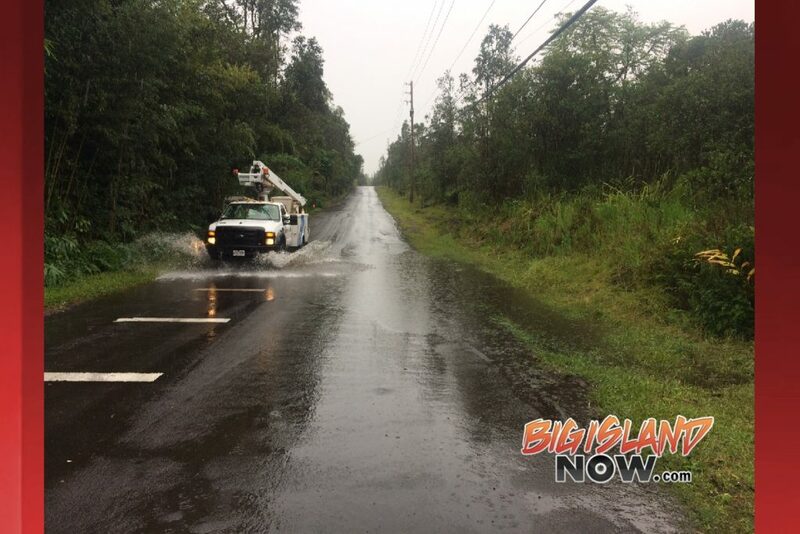 UPDATE: Nov. 30, 2017, 2:30 p.m.
A Flash Flood Warning update has been issued for portions of the Big Island on Thursday afternoon, Nov. 30 at 2:30 p.m. 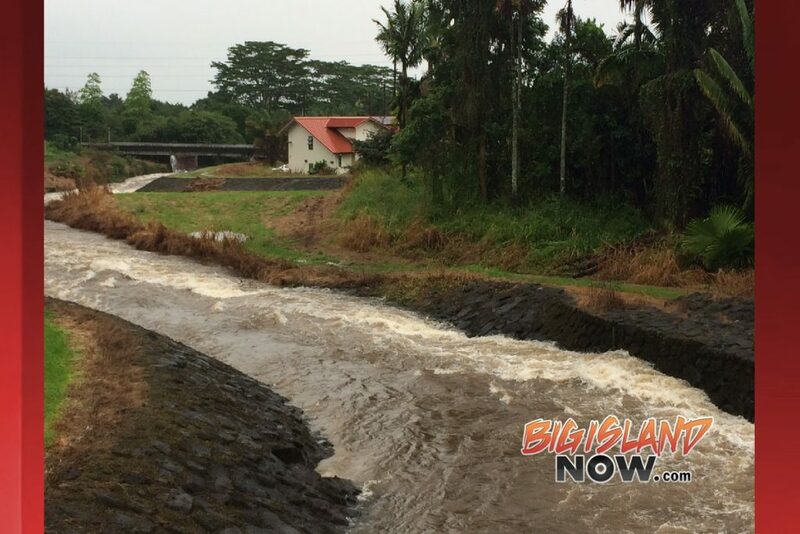 Private road off Chong Street becomes private stream in Hilo, Nov. 30, 2017, 3 p.m. 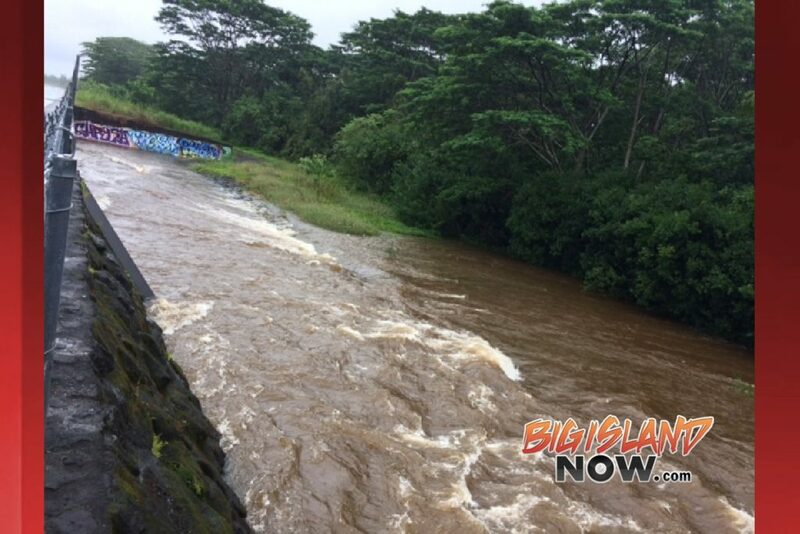 The National Weather Service has issued a Flash Flood Warning for the windward and southeastern areas of Hawai‘i Island—the districts of windward Kohala, Hāmākua, Hilo, Puna and Ka‘ū. 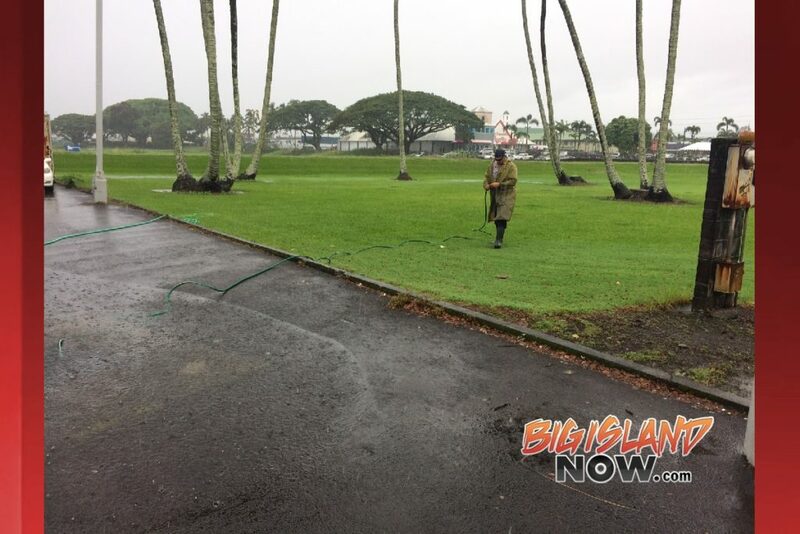 Kamehameha Avenue between Pauahi Street and Ponahawai Street. 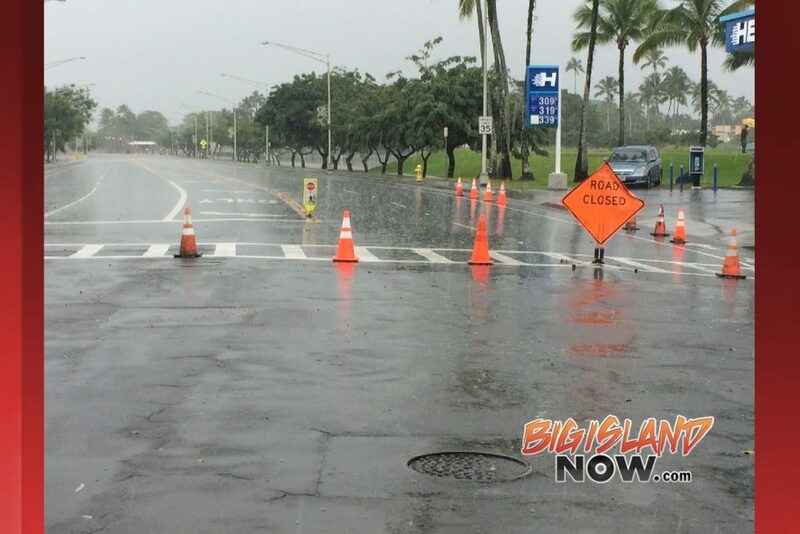 Traffic is now rerouted through Bayfront Highway. 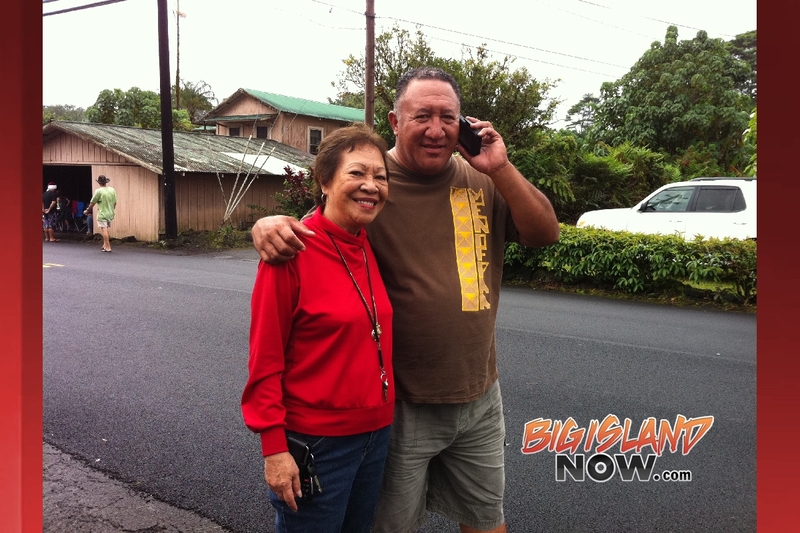 Pauahi Street between Aupuni Street and Kamehameha Avenue. 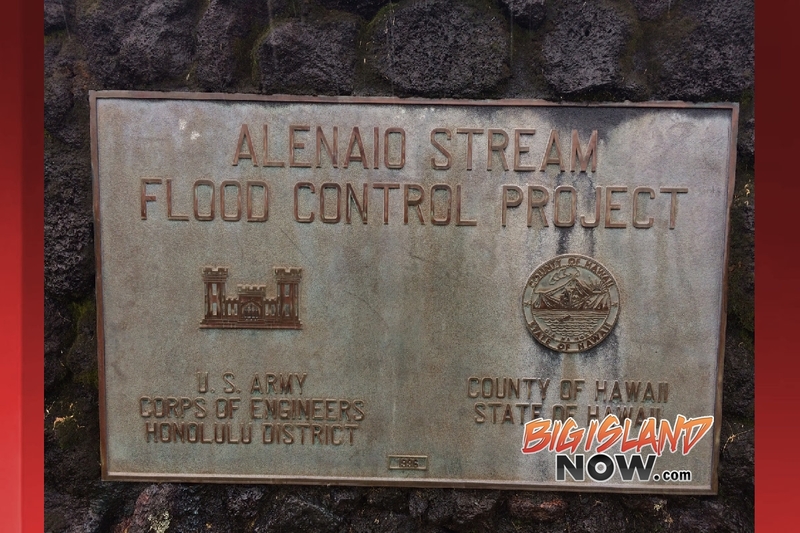 East Kawailani Street between Ho‘onani Street and Ahuna Street. Kukila Street near Railroad Avenue. 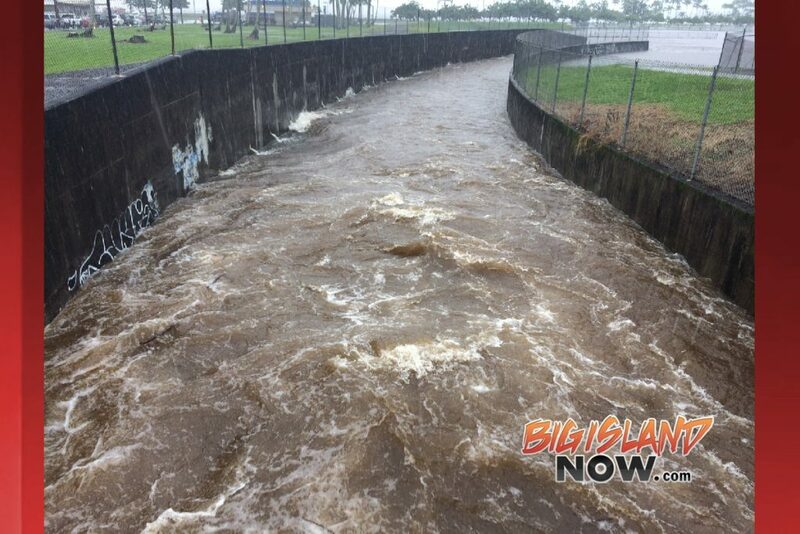 Hawai‘i County Parks and Recreation Department reports all parks, gyms, swimming pools and community centers in Hāmākua, Hilo and Puna are closed. 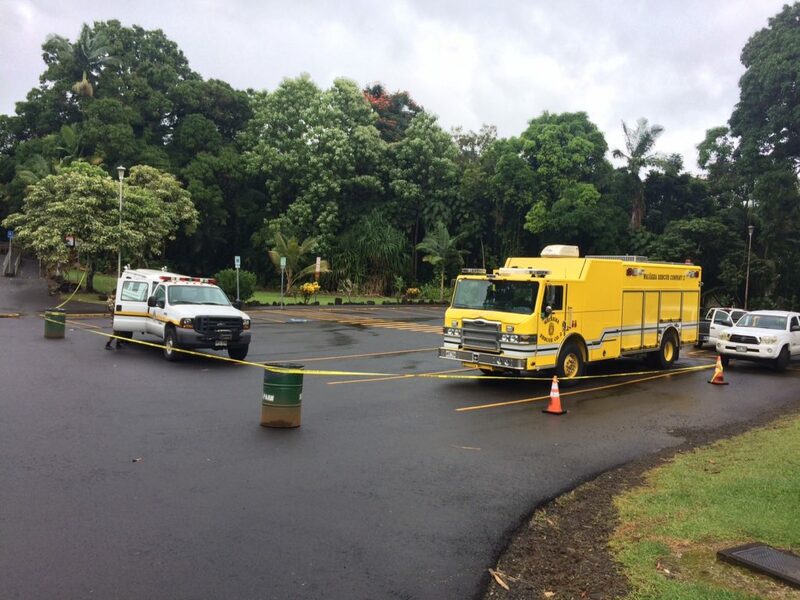 A shelter has been opened at the Butler Building near the Hilo Afook Chinen Civic Auditorium for those who may need it. 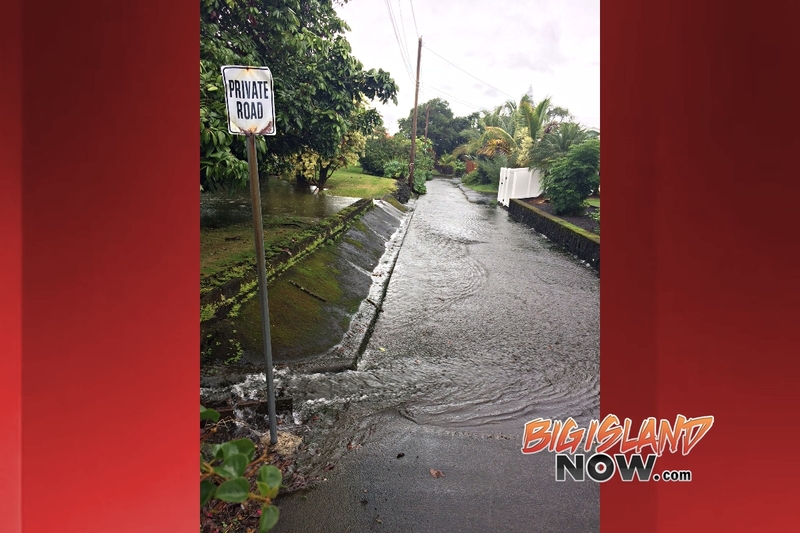 All residents in flood prone areas are asked to take necessary precautions and remain on alert for flooding conditions. Consider cancelling or postponing activities where possible. Do not drive unless necessary. If you must drive, be on the alert for debris, runoffs, and ponding of water. 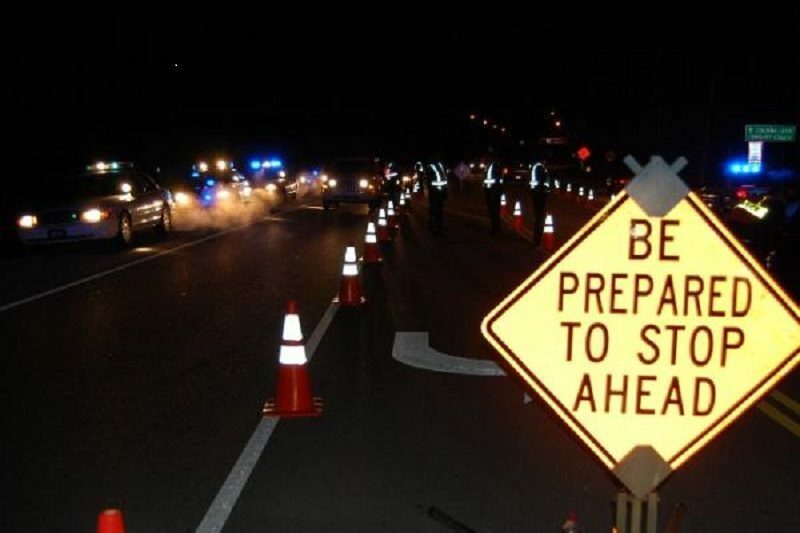 You should expect delays, plan ahead and drive with caution as driving conditions are poor. Do not cross fast flowing or rising water in your vehicle, or on foot. 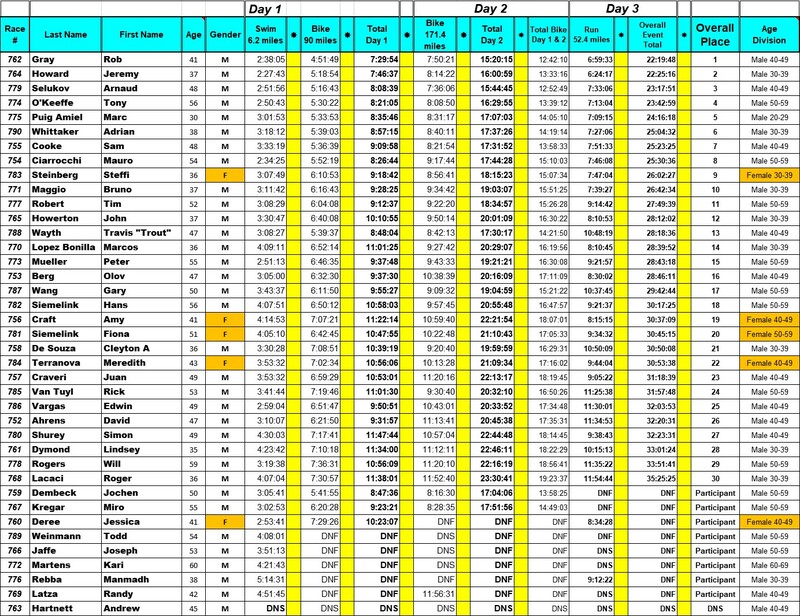 UPDATE: Nov. 30, 2017, noon. 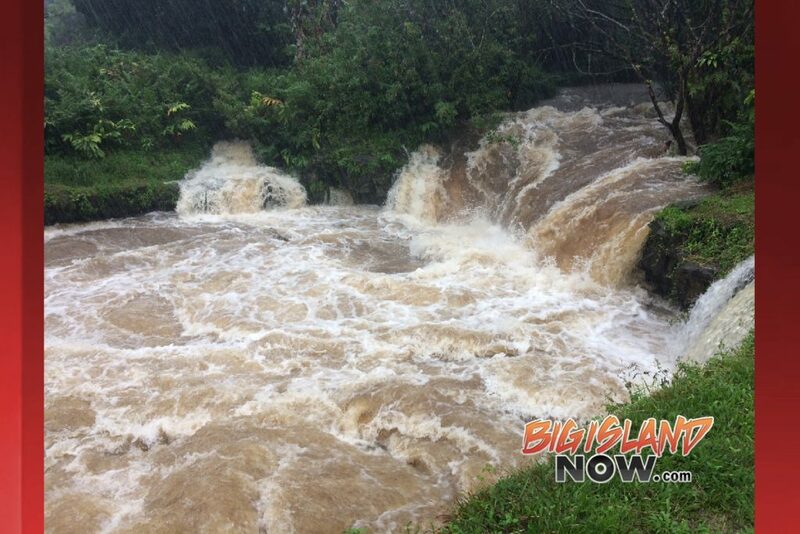 A Flash Flood Warning is now in effect for Hawai‘i County until 2:45 p.m.
slopes of the Big Island. the lower elevations and are causing more significant flooding impacts to occur along the Hāmākua, Hilo and Puna areas of the island. 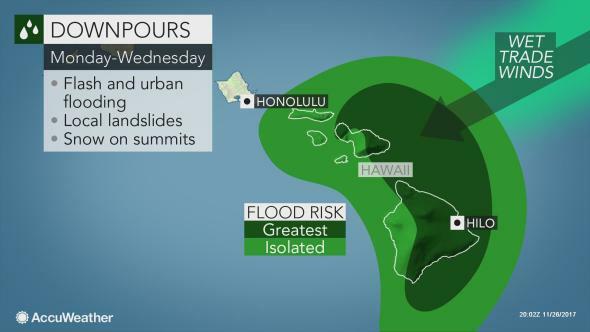 Additional rainfall is expected to develop over the windward slopes through the day. 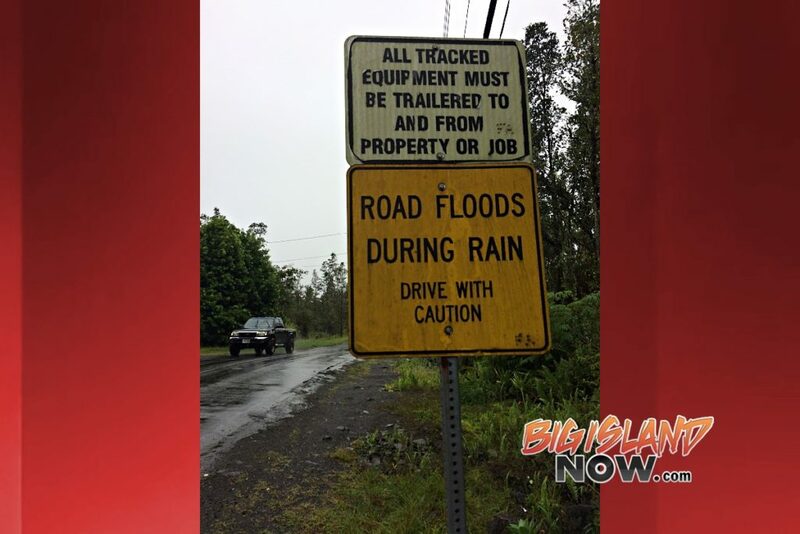 Locations in the warning include but are not limited to Hilo, Pa‘auilo, Waipio Valley, Orchidland Estates, Pepe‘ekeo, Kea‘au, Kamuela, Honoka‘a, Hawaiian Paradise Park, Pāhoa, Hawaiian Acres, Mountain View and Glenwood. ORIGINAL POST: Nov. 30, 2017, 10:11 a.m.
A Flood Advisory for the Big Island is in effect for Hawai‘i County until 1 p.m.
Water continues to rise at Chong Street swim hole, Hilo. Nov. 30, 2017, noon. 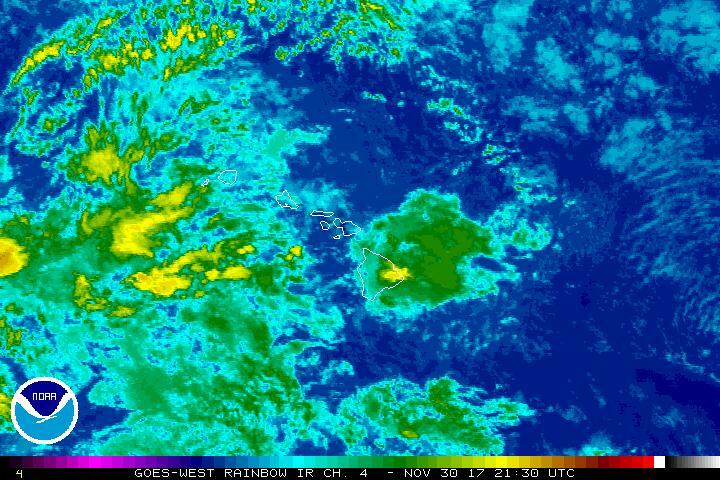 Thursday, Nov. 30, the National Weather Service disclosed at 9:58 a.m. this morning. 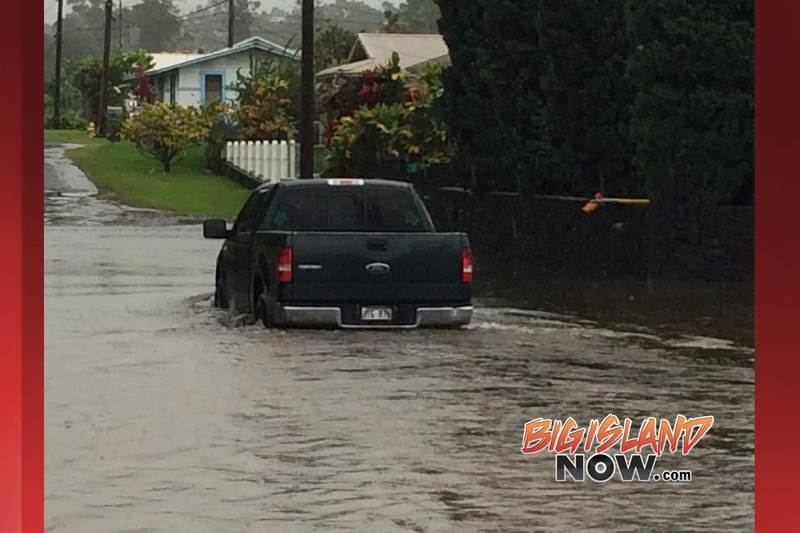 At 9:55 a.m., radar indicated heavy rain across the windward and southeastern portions of the Big Island. Rain was falling at a rate of 1 to 2 inches per hour. 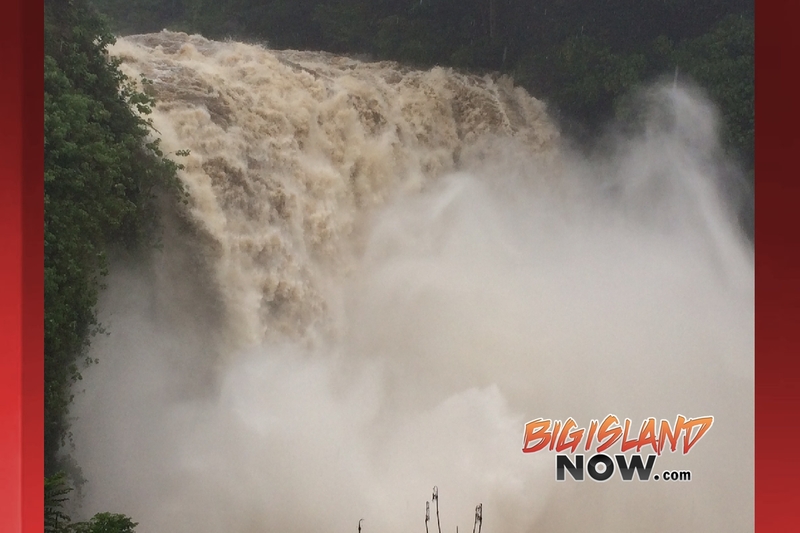 Raging Rainbow Falls, Nov 30, 2017. Hawai‘i County has closed some roads in the affected area due to ponding on roadways. This advisory may need to be extended beyond 1 p.m. if heavy rain persists. 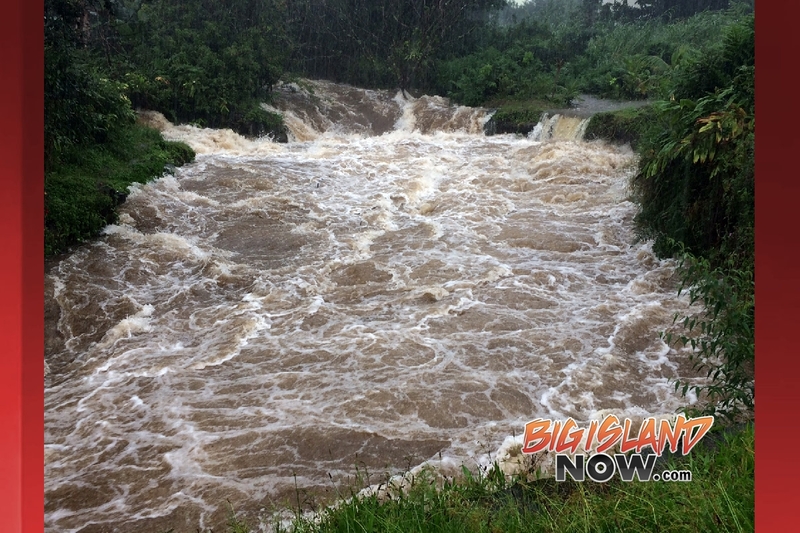 A Flash Flood Watch is also in effect for the Big Island through 6 p.m. today. 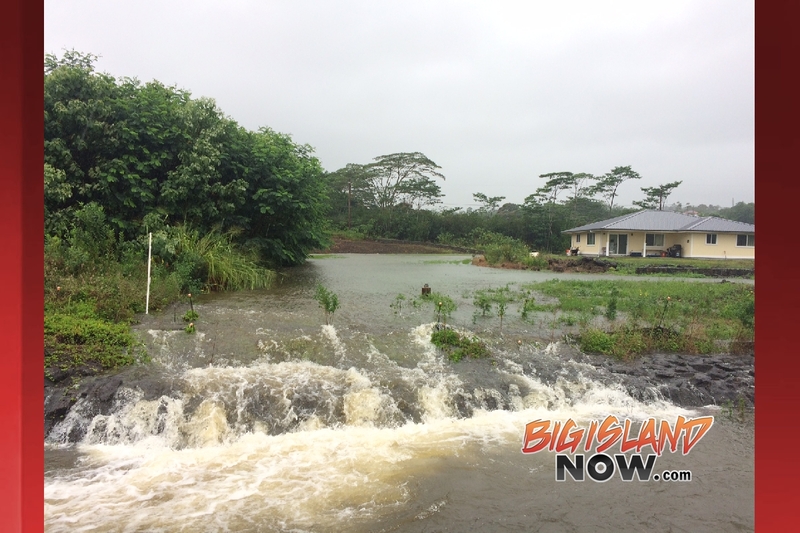 Fern Acres flooding, Nov. 30, 2017, 1 p.m.
Fern Acres road, Nov. 30, 2017, 1 p.m.
High water at Chong Street swim hole, Hilo. Nov. 30, 2017, 10:15 a.m.
NOAA satellite image, Nov. 30, 2017, 11:30 a.m. 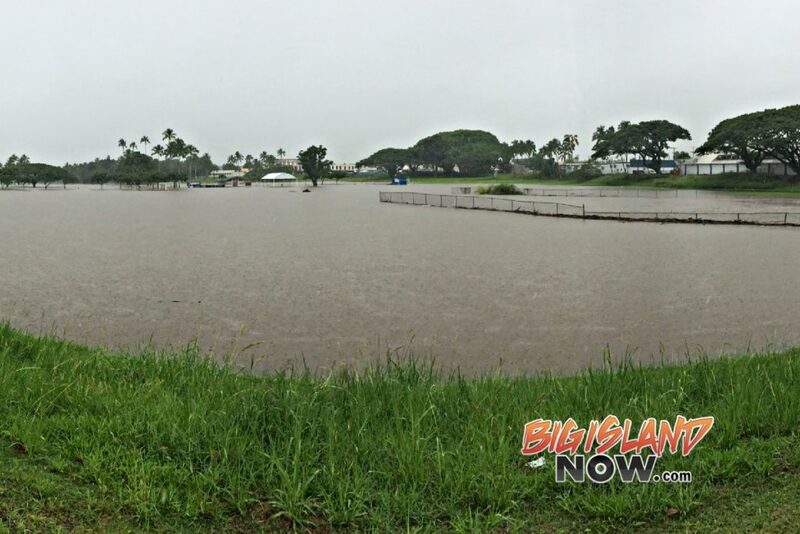 Flooded Bayfront Park soccer fields in Hilo. 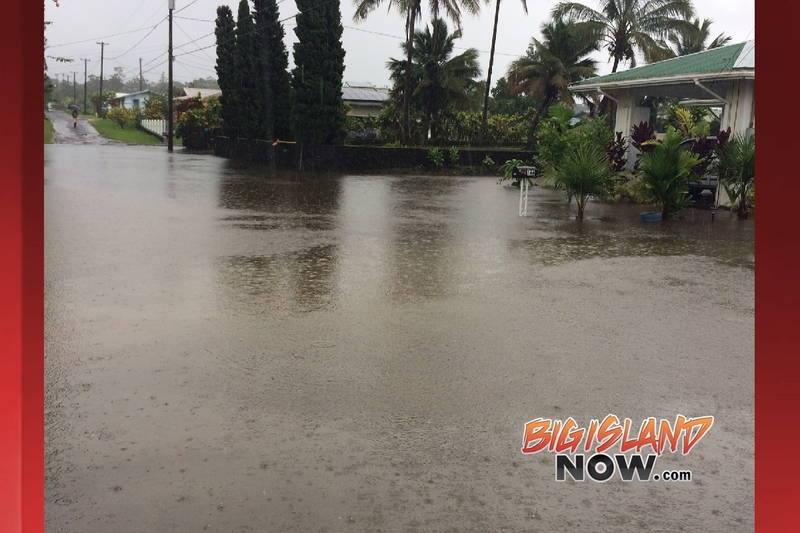 Nov. 30, 10:40 a.m.
Mohouli Street flooding, Hilo, Nov. 30, 2017, 12:15 p.m.
Mohouli Street extension, flooding on Nov. 30, 2107, at around noon. The photographer had never seen water here previously. Army Corp of Engineer’s flood control project to prevent Bayfront from flooding. Nov. 30, 2017, 10:45 a.m. Normally dry river beds behind UH Hilo dorms. 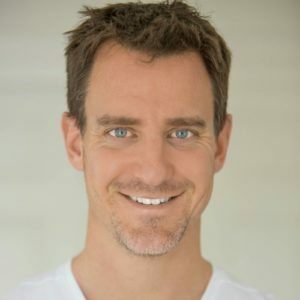 Nov. 30, 2017, 12:30 p.m. 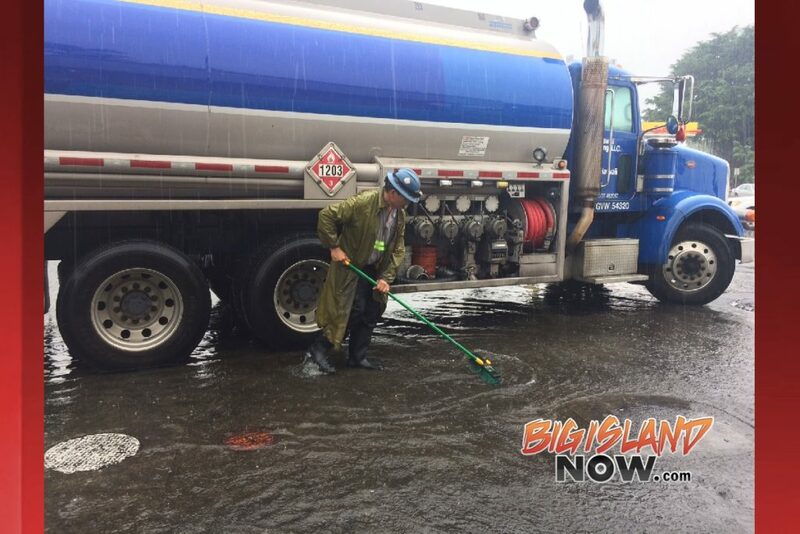 The Gas Company in Hilo tries to prevent water from entering underground tanks. 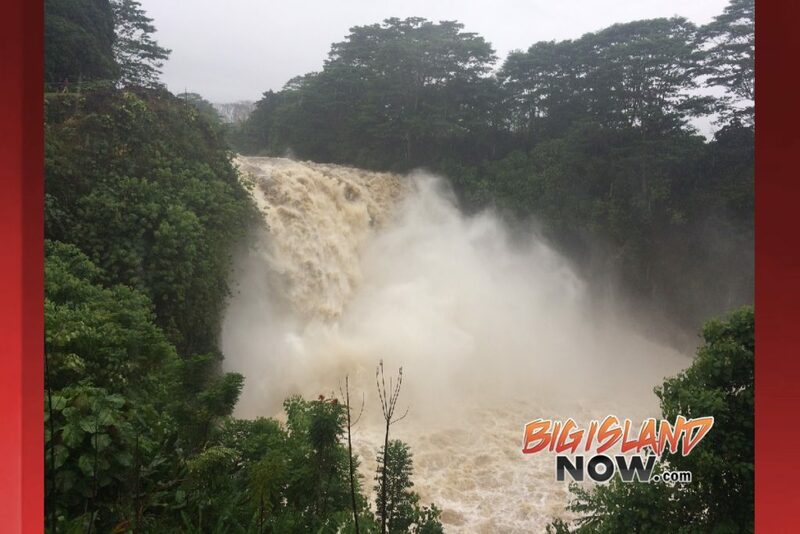 Nov. 30, 2017, 10:45 a.m.
Kamehameha Avenue, Hilo, Nov. 30, 2017, 10:30 a.m.
Rainbow Falls rescue. 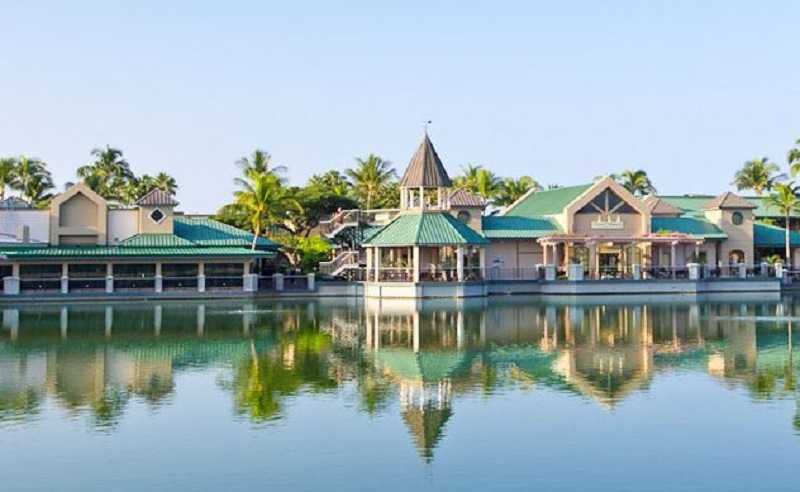 Big Island Now photo. Nov. 25, 2017. 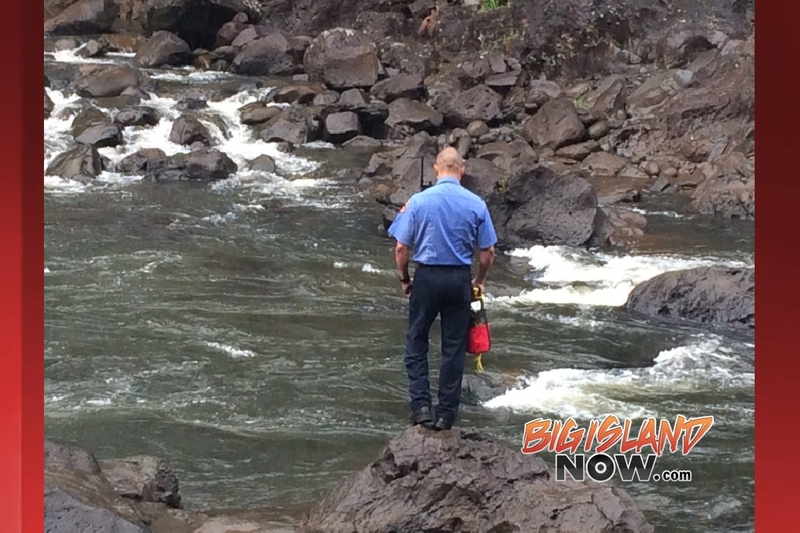 Swimmers were reported missing approximately 100 yards above Rainbow Falls on the Wailuku River on Nov. 25, 2017. The Hawai‘i Fire Department arrived 12:40 p.m., and within first 10 to 15 minutes, witnesses reported that there was a male and female party having difficulty swimming in a pond above of Rainbow Falls. 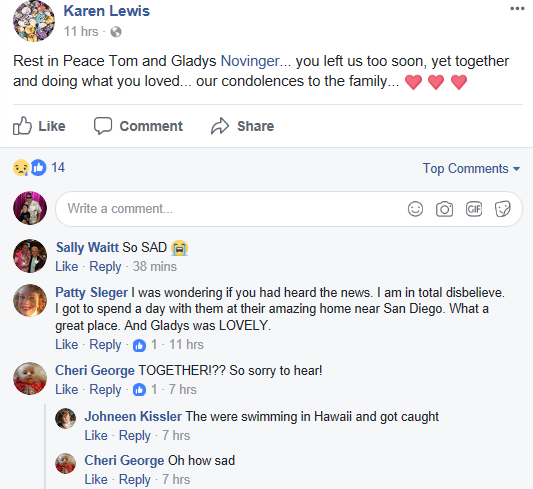 The two were seen going under and not seen again. 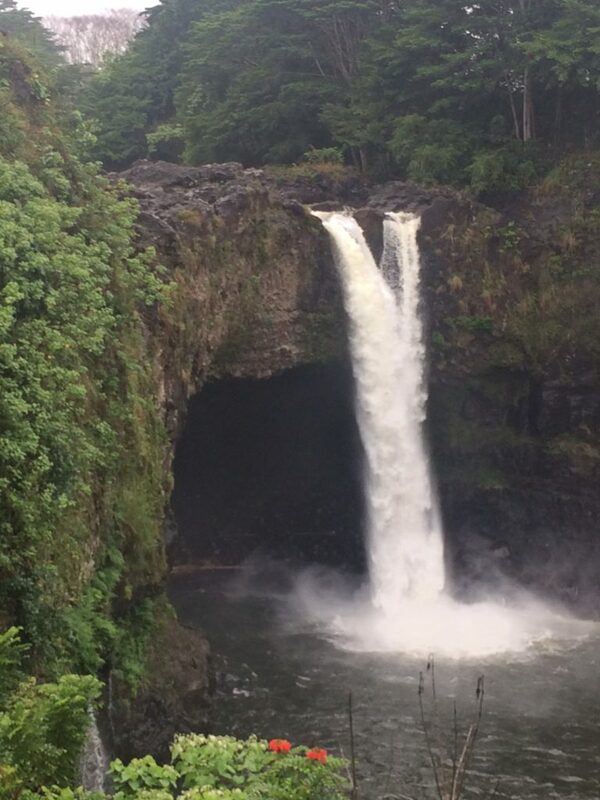 The female was found unconscious in the water below Rainbow Falls. 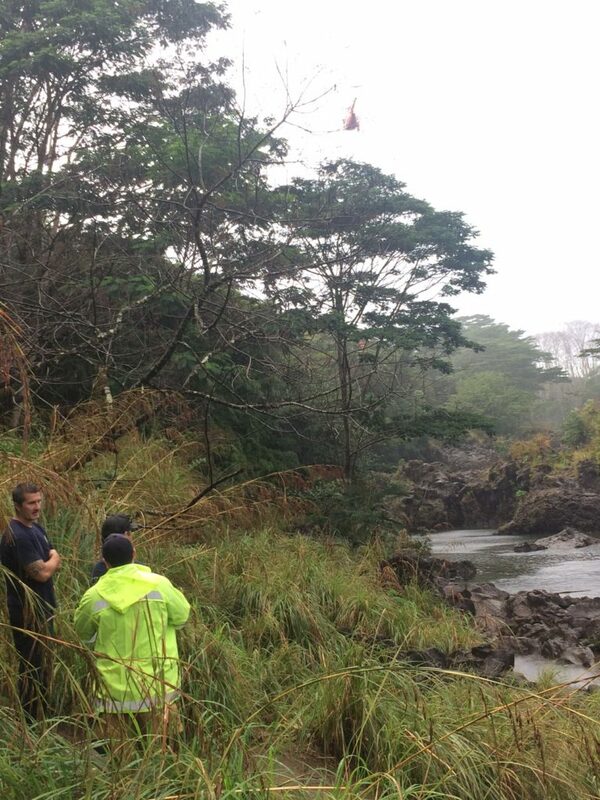 She was extricated via Chopper 1 using the Billy Pugh net to an awaiting medic unit. 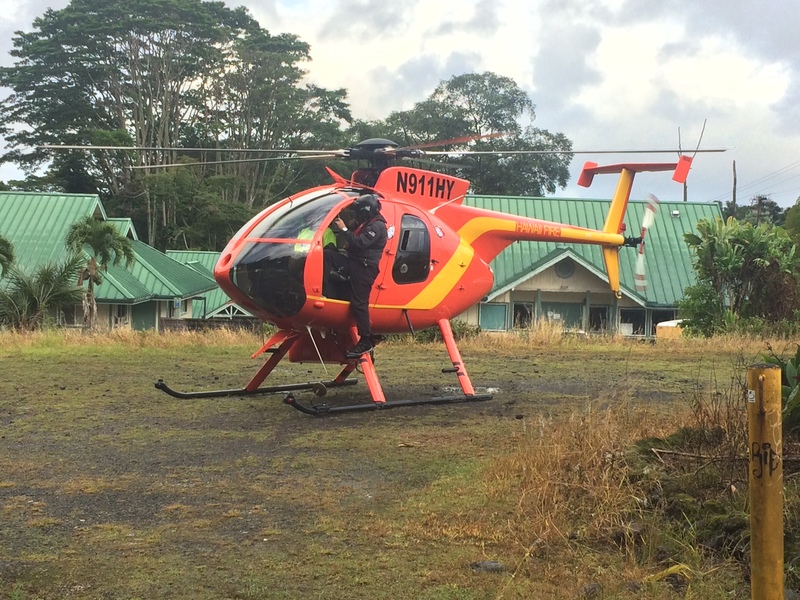 The medic unit transported the patient to Hilo Medical Center with CPR in progress en-route. 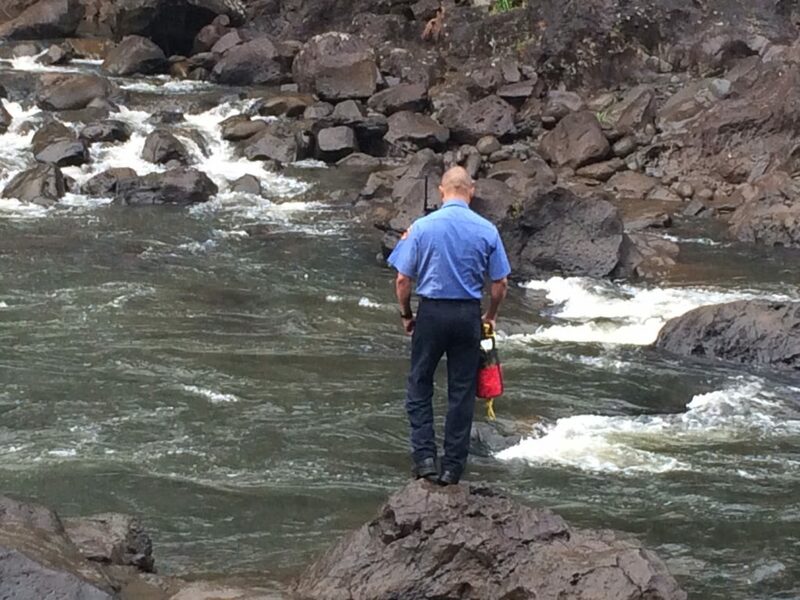 An aerial, ground and dive search was conducted in the pond and areas downstream for the missing male. 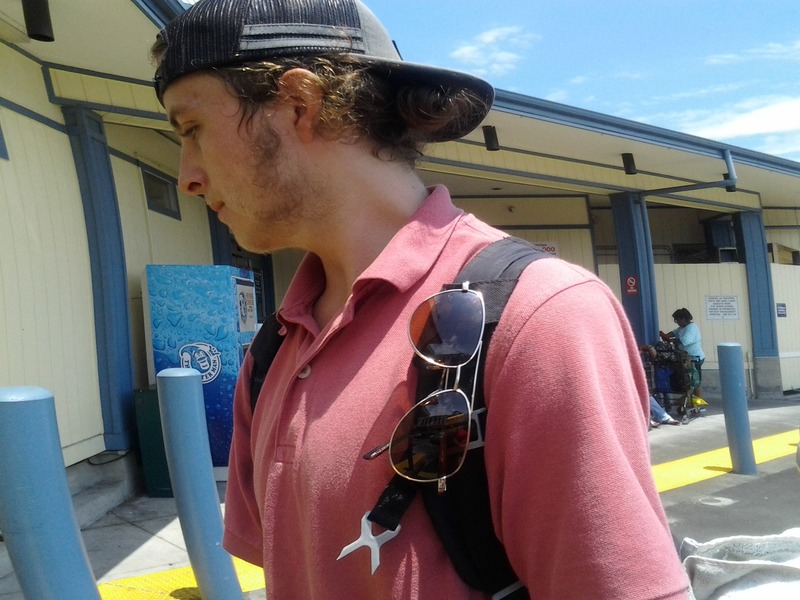 The search was suspended at nightfall; it will resume tomorrow. 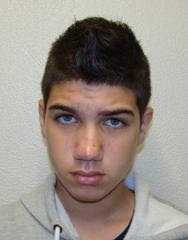 The woman was reported to be in her 40s; the male’s age is unknown. Witnesses said CPR was performed on the woman on the way to Hilo Medical Center. 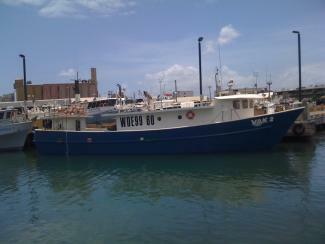 The male was not found after several dive operations suspended.